The enthusiasm for adult 'colouring-in' has resulted in numerous titles being published over recent months, covering subjects such as flowers, animals and decorative patterns, with links to mindfulness and art therapies. The one area that hasn't been targeted is the more structured and mechanical approach, which would appeal to the male market. The Haynes classic cutaways fit the bill perfectly, and the variety of cars included in the owners' colouring manual have wide appeal across all ages. 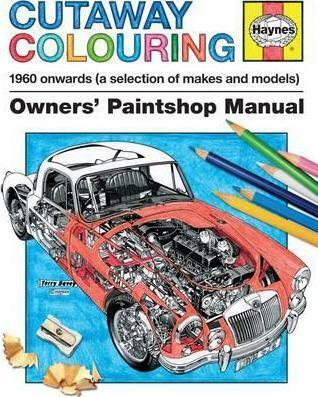 Cutaway Colouring contains over 180 cutaways, along with a brief history about the classic Haynes Manual.